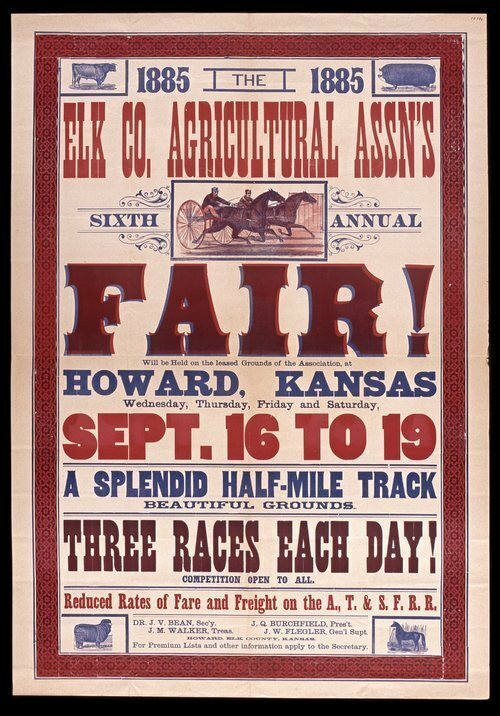 This poster announces a fair to be held at Howard, Kansas, sponsored by the Elk County Agricultural Association. Highlights of the fair include a half-mile track, three races each day, and reduced railroad rates. The poster includes illustrations of livestock and sulky racing.